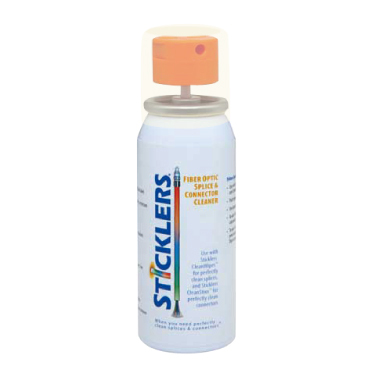 POC03M – Fiber Optic Cleaning Fluid is for all fiber tasks, such as cleaning connectors and cleaning before splicing. 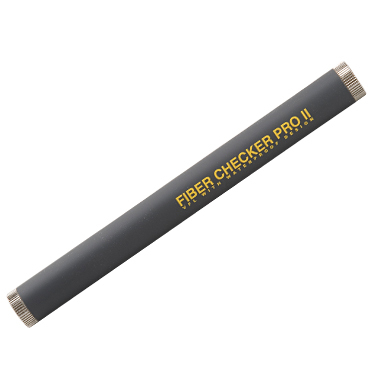 Fiber Checker Pro ll, VFL with 2.5mm & 1.25mm Interface – Visual Fault Locator is used during installation and repair to find faults, checking continuity, verifying signal path and identifying fiber. It tests single mode, multi–mode and plastic fibers. 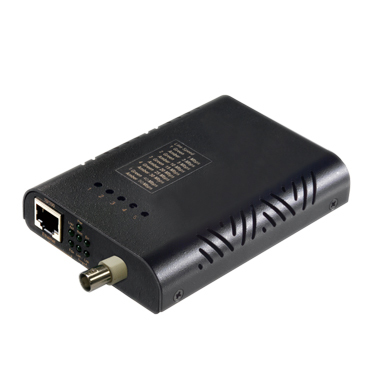 It has the capacity to test fiber cables ranging up to 7 km. Fiber Checker Pro ll, VFL with 2.5mm & 1.25mm Interface – Visual Fault Locator emits a bright red light that can easily locate a fiber fault or a loss point. When testing for continuity, it discloses the fiber cable being tested from a bundle of fiber cables. 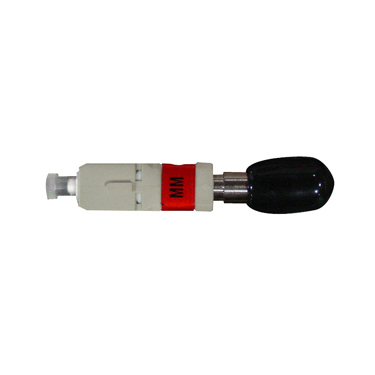 The OPTISource – SM 1490nm Fiber Optic Light Source is a high performance stabilized source that is widely used in fiber network installation and maintenance. 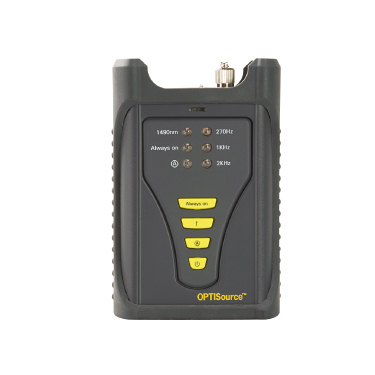 New version of OPTISource - Fiber Optic Light Source can provide the single wavelength output according to specific requirements including 1310/1490/1550/1625nm wavelength for the single–mode and 850/1300nm wavelength for the multi–mode. With replaceable FC, SC, ST connectors and SMARTFiber - Optical Power Meter or SMARTFiber Pro - Optical Power Meter With Data Storage, this choice brings you an economic and efficient solution for the fiber optic network tasks.